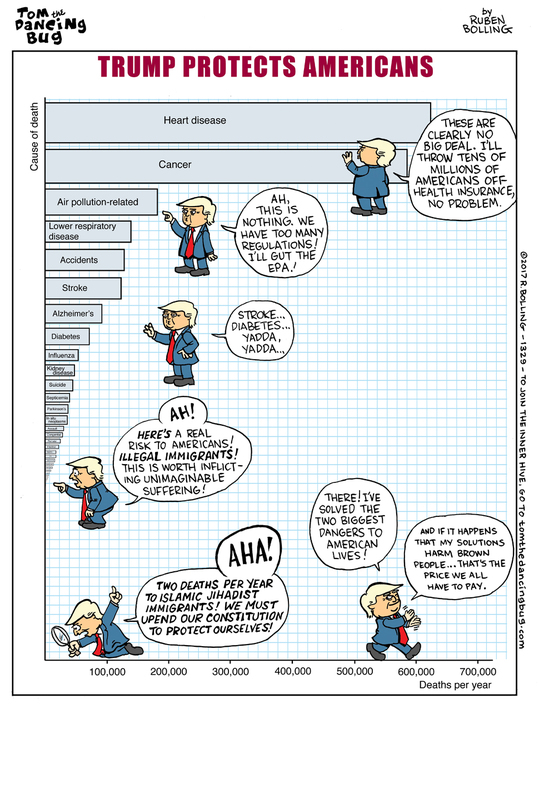 Tom the Dancing Bug, IN WHICH Donald Trump soberly analyzes the data and determines which risks to American lives are worth horribly cruel policies. JOIN Tom the Dancing Bug's subscription club, the Proud & Mighty INNER HIVE, for exclusive early access to comics, extra comics, other stuff, and other stuff still. GET Ruben Bolling’s new hit book series for kids, The EMU Club Adventures. (”A book for the curious and adventurous!” -Cory Doctorow) Book One here. Book Two here.